HBO GO brings unlimited access to the network’s original series, hit movies, sporting events, documentaries, and comedy specials. Christina Loguidice, author of My Xbox: Xbox 360, Kinect, and Xbox LIVE, shows you how to use your controller or Kinect to play, pause, and rewind through all your favorite HBO shows, as well as gain access to special interactive features. With the recent launch of HBO GO on Xbox 360, Microsoft has upped the entertainment ante yet again. HBO GO, as its name suggests, enables you to access HBO content anywhere and anytime using a variety of platforms, from your computer, to mobile devices, to your Xbox 360. In addition to giving you the flexibility to watch your favorite HBO shows whenever the desire strikes you, a particularly nifty feature is that it also gives you a virtual backstage pass by putting a host of bonus features and behind-the-scenes extras at your disposal. 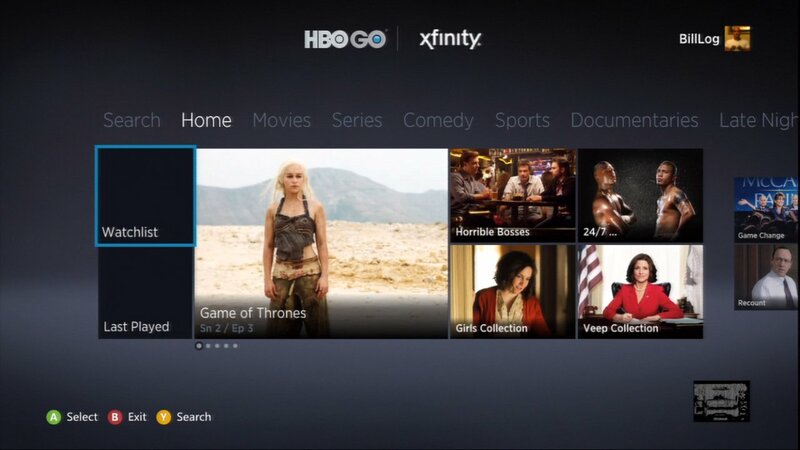 In this article, I will look at the HBO GO app's requirements on your Xbox 360, what content it makes available for your enjoyment, and how to maximize its usage with either the controller or Kinect. Even if you have HBO through your cable/satellite TV provider, HBO GO may not be available to you as part of your HBO package. At the time of this writing, participating TV providers include AT&T, Bend Broadband, Blue Ridge Communications, Cablevision, Charter, Comcast, Cox, DIRECTV, DIRECTV Puerto Rico, Dish, Grande Communications, HTC Digital Cable, Massillon Cable/Clear Picture, Mediacom, Midcontinent Communications, RCN, Suddenlink, Verizon, and Wow!. If your TV provider is not listed, Microsoft recommends contacting your provider to request HBO GO on Xbox 360. Power on your Xbox 360 and make sure you are signed in with the Xbox LIVE Gamertag you wish to use. Press A to select Download Now. An Update Required screen will likely appear. If it does, select Download Now. At the Activate HBO GO on Xbox 360 screen, you have the option to Activate this Device or to Preview HBO GO. Select Activate this Device, unless you wish to take a detour and explore what HBO GO is like first. At the Select Your TV Provider screen, scroll to your provider and then press A to select it. If you don't see your provider listed on the main page, select the More TV Providers block. You are now at the Welcome to HBO GO on Xbox 360 screen, where you are given an activation code. Keep in mind, this code will expire if you wait too long, but you can easily get a new one. On your computer or mobile device, go to www.hbogo.com/activate. At the Activate a Device screen, select Xbox 360 Consoles from the Select a Device dropdown menu. Now select your TV provider. Sign in to the account you have with your TV provider. You are brought back to HBO GO. You can now enter the activation code that appears on your console. At the Success screen, select Continue. You now have HBO GO (see Figure 1). In the future, you can access HBO GO by going to the Video channel, selecting My Video Apps, and then selecting the HBO GO block. Alternatively, you can access it from the Apps channel, as noted in step 2 above.